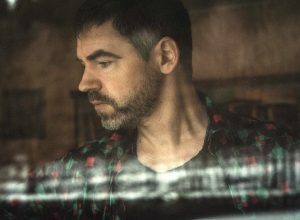 Inspired by creation for creation’s sake and with the aim to create evocative music and inspire his music listeners, Matt Hillier is considered by many as UK’s most prolific ambient artist. 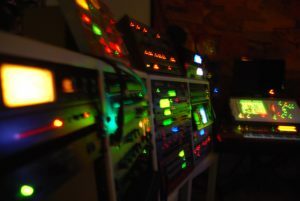 Producing music for more than 20 years, Hillier has been releasing music individually, with many aliases, and in collaboration with numerous other artists. In the mid-90s, after experimenting with music for a while—jamming with friends and doing experimental sound art—Hillier built a home music studio, an idea presented by Jake Stephenson from the Optic Eye band. 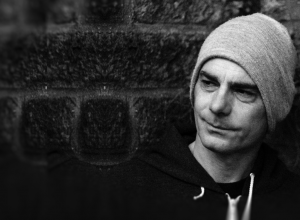 After he did some releases together with Stephenson, a solo 12-inch record and an album as Indigo Egg, Hillier moved to Cornwall, England, and focused on creating solo ambient works, a base where he formed the project Ishq. Shortly, Hillier met Jacqueline Kersley, who joined his project Ishq. Kersley was the voice of much of the early Ishq’s material that gave a strong otherworldly character to Hillier’s music. 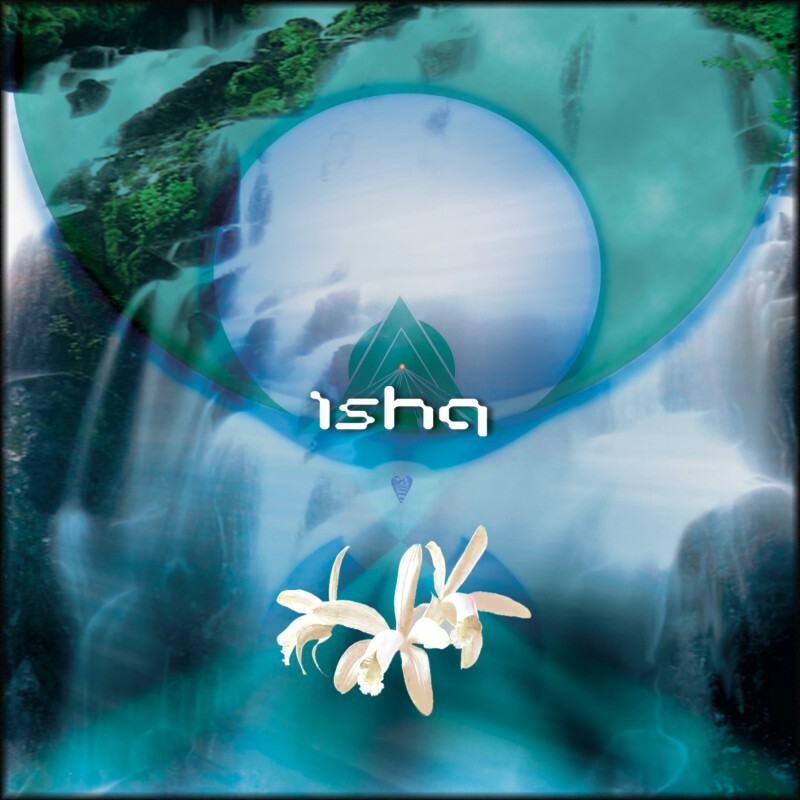 In 2001, Ishq released his debut album, Orchid, in Dakini Records, an album that fundamentally contributed to Hillier’s further growth in the music scene. Later on, he published two other versions of Orchid, collaborating with Interchill Records. Following the success of Orchid, Ishq founded his independent record label called the Virtual, a collection of his entire career productions. Virtual has its sub-labels called the Virtual world: releases the main and more detailed electronica and soundscapes of Virtual, Virtual light: the minimal meditative contemporary ambient works of Ishq and others, and Virtual Space: issues the deep and more minimal space-themed works. 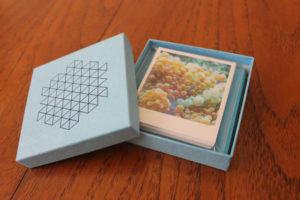 One of his latest works is Aquaphonics, a series of box sets featuring a combination of photo art and mini CD-Rs of ambient music. 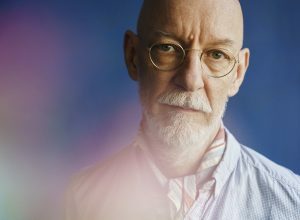 Beside Virtual and the sub-labels, each focusing on releasing different forms of ambient music, Hillier also runs Ektaphone, a label intended to be less ambient and more electronica. After Orchid, Ishq has released his other works mainly on Virtual, Interchill Records and …txt. Based in Cornwall, he continues to write his unique music continuously exploring and experimenting with new sounds. We interviewed Matt Hillier to gain more details about his early influences, passions, past and future works. What made you start making music, and what were the first sounds you remember experimenting with, including your early influences as a young artist? I think it’s built in from birth, but my grandparents were kind of musical and my parents had a lot of music around, so I got introduced to a lot of different music early on from them and was instantly into it really. My first experiments were with my grans home keyboard and then an old guitar and reel to reel and stuff I slowly picked up, like fx pedals, etc. Early influences were pretty broad as I grew up with punk and ska and all the classic ‘70s stuff from my family and then I heard all the psychedelic stuff from the ‘60s and ‘70s, and then the acid house, techno and early ambient kicked in. Do you remember when you first began to gravitate towards ambient music? The early ‘90s via both older bands like Tangerine Dream and newer works coming along on Fax Records, Warp, etc. Stuff like Tetsu Inoue’s World Receiver, and Mu by Tetsu Inoue and Uwe Schmidt [Atom™] on Rather Interesting. 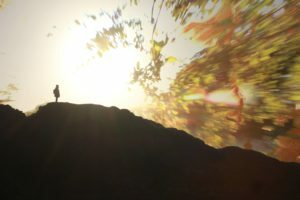 Ambient back then was very much related to the morning after the night before and all about the experience of staying up all night and the experience of listening to music in a more immersive sense with your eyes closed. When did you feel like you were finding your style? I think with the first Indigo Egg solo album, but to be honest, I am more into this idea that everything is constantly in flux and changing, so what’s Ishq today may not sound like the next release. I tried to avoid styles or having my own, but you inevitably do, it’s tricky as I relate to people having their own sound and blueprint or style, but at the same time, it seems like the kiss of death a bit. The sound people tend to think of as Ishq; I think first started showing up with the early Indigo Egg releases but grounded probably when I made the first few tracks that showed up on Orchid. How do you think your sound has evolved since your debut album Orchid? I was never sure what the process of evolution is as an artist. Concerning sound as many people tend to think, it’s all about better production, but for me, it’s all about just exploring the creative process with the freedom to do what I want and not be answerable to anyone. Change is the only constant possible, and I just keep exploring really, the artistic process for me is all about total freedom to do what I will, so I just keep exploring and often in a more and more self-indulgent way. Currently, what inspires you to start a new project? It’s the same as it always was, sometimes an image, sometimes a place or a walk, sometimes being at an event I hear music by someone and it triggers me to want to create—other artists have that effect as well. The inspiration is constantly there and from everything. Can you walk us through a regular day of your life, from early in the morning until you finish your tasks? Are music and other aspects of your life interconnected? It varies from day to day, usually creative work early then some walk and air, and then possibly work later on, sometimes I work late nights and early mornings, I am not that rhythmic, I wish I were, but I can be very random these days. In answer to the second question, yes it’s all interconnected, especially walking and experiencing other art and watching films etc., it all feeds into the creative feedback loop. How has the process of making music transformed you? There is a danger in quantifying how we are being transformed possibly on any level with anything, and I avoid that, but it’s affecting, that’s for sure, like all experiences. It’s a bit of a mirror sometimes, emotionally and mentally, and a form of mental and emotional Yoga. It can over polarise you mentally, and also it ungrounds as a process a lot if you’re that way inclined, working with sound for hours on end and especially on headphones, I think it rewires your brain somehow, it feels it does, but it’s tricky to put into words. What’s essential to the work of an artist? The classic clique is “be true to yourself,” and that’s about it really, and love what you’re doing. For each artist, the motivations are different and all equally valid, but I think you have to be into what you do at some intense level to really create something with some effectiveness. You have been releasing music intensively. How did you manage to create this much? I started writing music in 1995, and my rule is not to sit on music to long once it’s finished and to try and release fluidly, which is why I started Virtual, so I could easily self-release. My idea as an artist is to explore; not all works are finished really, I released a lot of sketches, a lot of experiments, some full-blown constructed albums, it was the best way I could self-sustain writing music full time and pay the rent and bills over the last few years. Slowly a wind of change has occurred in music primarily due to big business and streaming and saturation of music in the world, so I think my output will change pretty soon for various reasons. If you work steadily as an artist and you are not obsessed with perfection and what others think, you can release a lot, but it’s a bit of a kiss of death doing this in some ways. You have been working with …txt label founded by Spanish Eddie and Lee Norris especially in the past two years, the latest with whom you released albums such as Archetypes Of Light 1 & 2 and Zeal Monachorum. Tell us more about the experience working with …txt and how did you come up with this collaboration. 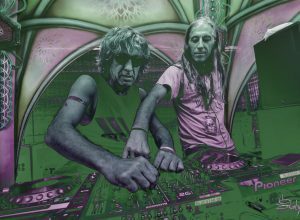 It was Lee who invited me to work with the label and co-write with him after he heard some older Ishq releases, and eventually, I got some music together for the label which became Lyght. I already collected and loved Lee’s music and work from his label Neo Ouija. I also like Metamatics and the style of …txt, and also when we met, we got on well and shared a sense of humour, and a love of a lot of the same music, so it just evolved from there. …txt is a super fluid label I think, it’s more about music that’s creative and interesting, and that makes life a lot easier for someone like me as I do not work with a fixed end result in mind, I see what happens in the process of creating, and if I like it and it triggers me, then that’s enough, it gets finished and then released. Studies have shown that ambient music increases people’s productivity. What is your opinion regarding this statement? I think music seems to have a lot of positive effects on the brain, not sure how, but there is some relationship between the energy of a musical work and the emotional nature of the listener, and also probably the brain’s level of relaxation. It could have to do with the fact that we probably get more done the less we try too hard, ambient music flows and to be productive its best to flow and let go a lot with whatever you’re doing—the mind is often the problem and over thinking stuff results in slow productivity. 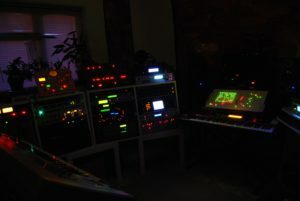 Samplers and synths that process/resynthesize sound are the main tools really, plus some old hardware effects. Roland Variphrase synths and samplers and some old Akai samplers like the s1100, a Korg Kronos for mangling sounds, and I work with a lot of resampling stuff like Reaktor also, and few old analogue synths. In different projects, I use different setups and methods of working. What are your plans for the future? Do you have any work planned or going on now? There is a new label called Zeit in progress with Lee Norris from Metamatics that will be releasing pure analogue synth music by us both. I am also moving back onto the Ektaphone label as I started to write music for some releases for 2018, but this is to a backdrop of a kind of semi-retirement from music for various reasons and much less music writing and releasing I think. I decided to put into hibernation some projects like Virtual Records for a while, and move into other things creatively and get back to making music rather than so much sound experimentation, so at some point, some new melodic Ishq works should appear. I also started work on a label for more healing and energy based music works with an emphasis on that side of things, which should start releasing sooner or later. The plan is to try and keep going and keep making music but with a new energy and incentive. The mix is really all about winter and the season we are in now. As this time of year tends to pull me creatively into the nature and landscape, that inspires a lot, and I attempt to sync in with this musically.